A seemingly random selection of heads of state are struck down like flies by unnamed killers who work with the clinical efficiency of butchers. Except that they leave no trace of their methods. 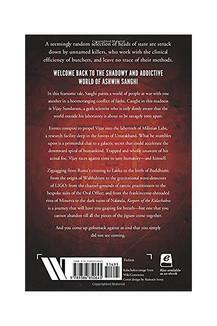 Welcome back to the shadowy and addictive world of Ashwin Sanghi. 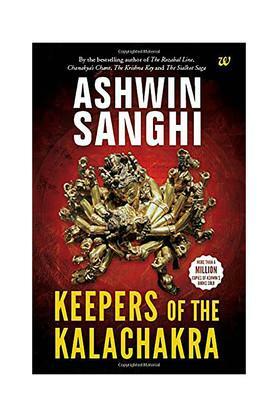 After The Rozabal Line, Chanakya's Chant, The Krishna Key and The Sialkot Saga, Ashwin Sanghi returns at last with another quietly fearsome tale'this time of men who guard the 'Kalachakra'or The Wheel of Time. Sanghi describes a world of people at war with one another'a boomeranging conflict of faiths that results in acts of such slow and planned human cruelty that they defy human imagination. Caught in the midst of this madness is Vijay Sundaram, a geek scientist who is only dimly aware that the wider sky outside his laboratory is stretched taut and close to being torn apart by forces that he wants simply to have nothing to do with. But events conspire to propel Vijay into the labyrinth of Milesian Labs, a centre of research deep in the forested hills of Uttarakhand. What he stumbles upon is a primordial clue to a galactic secret that could accelerate the downward spiral of humankind. Trapped and wholly unaware of his actual foe, Vijay races against time to save humanity'and himself. Zigzagging from Rama's crossing to Lanka to the birth of Buddhism, from the origin of Wahhabism to the Einsteinian gravitational wave-detectors of LIGO, from the charnel-grounds of naked tantric practitioners to the bespoke suits of the Oval Office, and from the rites of Minerva, shrouded in frankincense, to the smoke-darkened ruins of Nalanda, Keepers of the Kalachakra is a journey that will have you gasping for breath'but one that you cannot abandon till all the pieces of the jigsaw come together. Till you come up gobsmack against an end that you simply did not see coming.